Pit stops that go wrong can hurt any driver's chance of winning the Sprint Cup trophy. 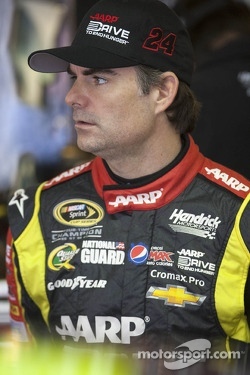 LOUDON, N.H. – Jeff Gordon was kicking himself. The four-time Sprint Cup champion had just led 36 laps on Sunday's Sylvania 300 and was looking to put a major dent in Matt Kenseth's series lead when he made a rookie mistake. Two-thirds of the way into the race, he overslid his pit stall. Not by a lot – perhaps by the length of his front splitter – but enough to get the attention of the NASCAR official, who ordered him to put his No. 24 Chevy in reverse before his crew could proceed. 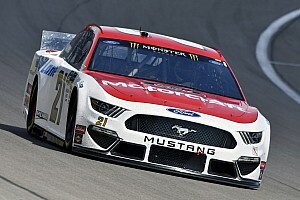 Instead of leading the race, Gordon was suddenly 22nd, on his way to a 15th-place finish which dropped him to eighth in the Chase standings, 42 points behind Kenseth. "I'm highly disappointed in myself," Gordon said. "I hadn't come close to sliding through all day. I guess, leading, I carried a little bit more speed in there and crossed the splitter over the line by an inch. "I knew it was close. When I got in there, the front started to slide. I was hoping it would stop just at the line. I saw the official react and I knew we were in trouble. That's all it takes to make a difference between a chance at winning and finishing 15th." On a track where passing can be difficult at best, losing so many spots of track position doomed the 24 team. 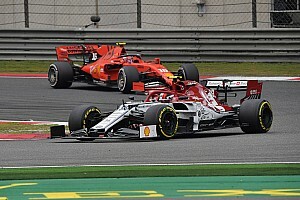 "I knew, just from the way the race was going, that passing was near impossible," Gordon said. "And my car was a good race car but wasn't a good 'passing' car. We had the handling characteristics of a car that needed good track position – and we had it until I messed it up." Gordon wasn't assuming he would have gone on to win the race, but fully expected to contend after taking four tires with 98 laps to run. "That caution hurt us in general," he said. "We didn't need that caution to come when it did. That was taking us out of sync for what was going to work best for our pit strategy, anyway. But there's a big difference between starting say 12th and 22nd. We lost a lot of spots to the other guys who took four tires." If there is a silver lining for Gordon, it's that his car was strong enough to contend for the second time in as many Chase races. 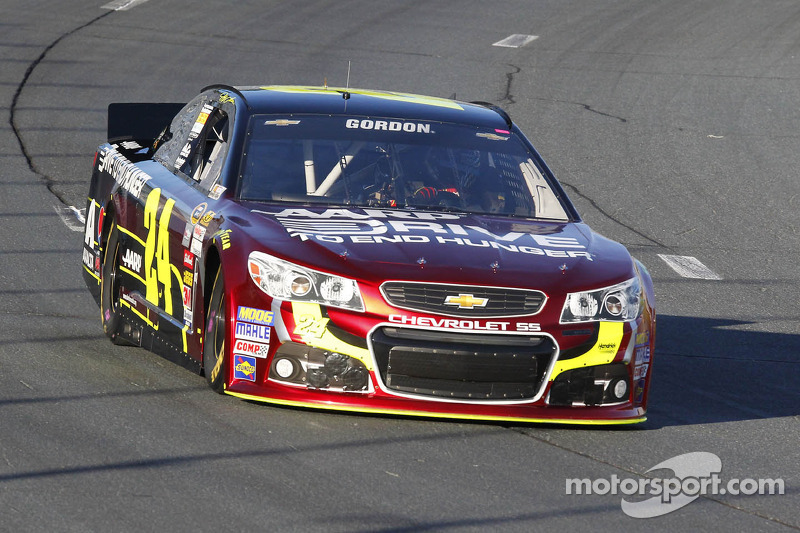 Gordon finished sixth in the first race of the Chase at Chicagoland. "I'm excited with the way we're performing," he said. "Chicago was great and this weekend was great. We're not far out of fourth (six points behind Carl Edwards). We lost quite a bit of ground to those guys up front, but not too much as far as getting into the top five in points. I think we are very capable of doing that. "But the driver can't make mistakes. Today was one of those days. This is a short race. 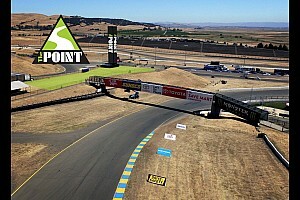 Track position is so important. 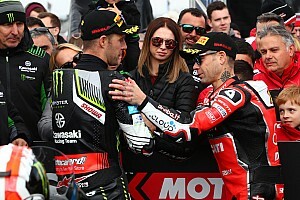 I made a crucial mistake and I can't allow that to happen if we're going to get ourselves into the top five in points." Maybe it just wasn't Hendrick Motorsports' day on pit road. During the first caution of the day, Gordon needed to take evasive action to avoid a major collision with David Ragan. Escaping with only a scuff, Gordon, who started third, remained in the top five for nearly all of the first 200 laps. His teammate, Dale Earnhardt Jr., also had trouble on an early pit stop when his crew dropped his jack too soon. Earnhardt recovered to lead 17 laps, but found himself off cycle with the leaders and settled for sixth place. "I was real happy to be able to rebound from our earlier (miscue) on pit road and get a good finish," Earnhardt said. "The car was fast as heck (in practice) – one of the top three cars, I thought." Unlike Earnhardt, already 62 points behind the Chase-leading Kenseth, Gordon remains on the edge of Chase contention – albeit a thin edge. "If Kenseth keeps doing what he's doing, it's not going to matter what anybody else does," Gordon said. "We've got to go to these next several races and go on a tear. Who knows? We're higher in points than we were when we started this thing, so we'll just try to keep that going." Gordon says that shaking off his error and regrouping for the third race of the Chase at Dover International Raceway won't be a challenge. "I've been doing this for 20-some years, man. It's not like I've never made mistakes before. You just hate to make them at a crucial time like that. I'll be disappointed until we get to Dover and start working on (that race)."